Three-time Atlanta winner, three-time NASCAR Cup Series champion and 2012 NASCAR Hall of Fame inductee Darrell Waltrip will be officially inducted into the City of Hampton, Georgia's Speedway Lane Hall of Fame in a ceremony at 6 p.m. on Thursday, Feb. 22 at downtown Hampton's Depot Park, as the city, home to Atlanta Motor Speedway, honors the racing legend to kick off its 2018 NASCAR weekend. Established in 2013, Hampton's Speedway Lane Hall of Fame honors influential members of the NASCAR community with strong ties to Georgia and Atlanta Motor Speedway. Its current members include Fayetteville, Georgia's Rex White, Dawsonville, Georgia's Bill Elliott, six-time Atlanta winner Richard Petty, five-time Atlanta winner Jeff Gordon, Speedway Motorsports, Inc. chairman Bruton Smith and Atlanta Motor Speedway president Ed Clark. Born in Franklin, Tennessee, Waltrip's storied racing career began in 1972 and today is one of the most recognizable names in stock car racing history. In 29 years of racing and more than 800 starts at NASCAR's top level, Waltrip racked up 84 wins, including the 1989 Daytona 500, 59 poles, 390 top-10 finishes and was a two-time Winston Cup Series most popular driver. Currently, Waltrip serves as a color analyst for Fox Sports, alongside industry veterans Mike Joy and Jeff Gordon. In 56 career races at Atlanta Motor Speedway, Waltrip notched 18 top-5s and 28 top-10 finishes and won once each in 1977, 1982 and 1989. 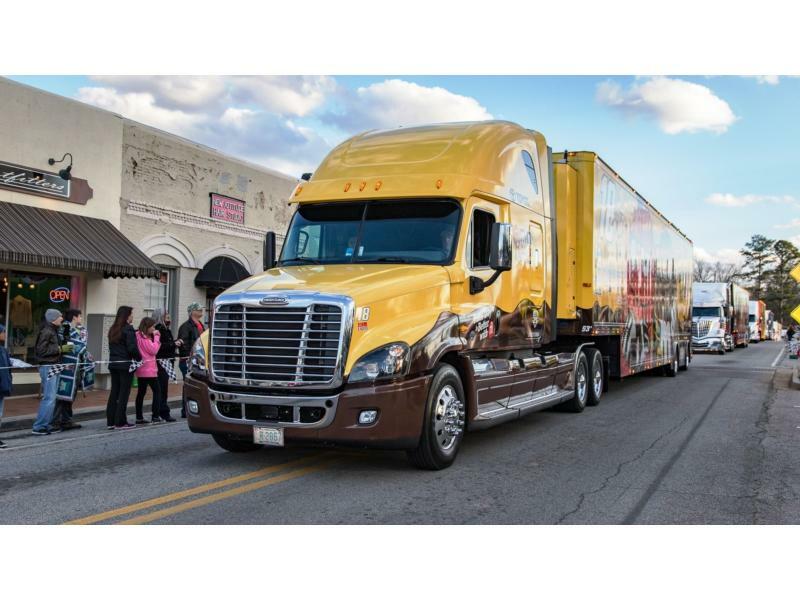 Following Waltrip's induction ceremony, the 6th annual hauler parade will kick off beginning at 6:30 p.m., as Monster Energy NASCAR Cup Series transporters cruise through downtown Hampton and back again prior to parking in Atlanta Motor Speedway's infield for the weekend. The parade route will enter from Highway 20 and proceed northbound up East Main Street towards Highway 81 before retracing its route back through Hampton. It will then enter AMS property via Gate G and roll down the perimeter road past the unreserved campground, Legends Premium Camping, the Blue Parking Lot, the AMS Fan Zone and the family camping areas for fans on property to enjoy. 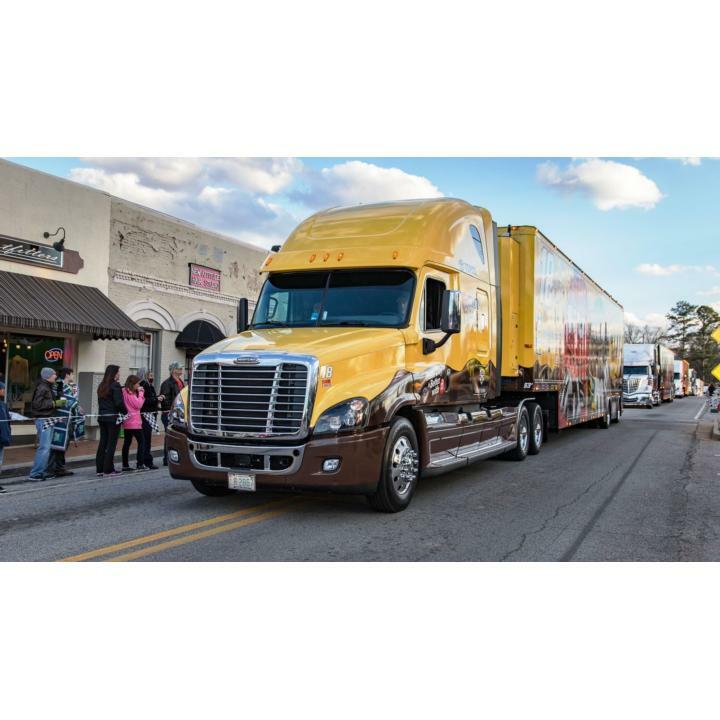 Fans of all ages are invited to attend the parade and experience the charm of downtown Hampton in celebration of the arrival of Atlanta's annual NASCAR weekend. Hampton is easily accessible from Interstate 75 via Highway 19/41 by taking Exit 235 or via Highway 20 by taking Exit 218.